It’s coming this December! Our annual wreath making workshop! 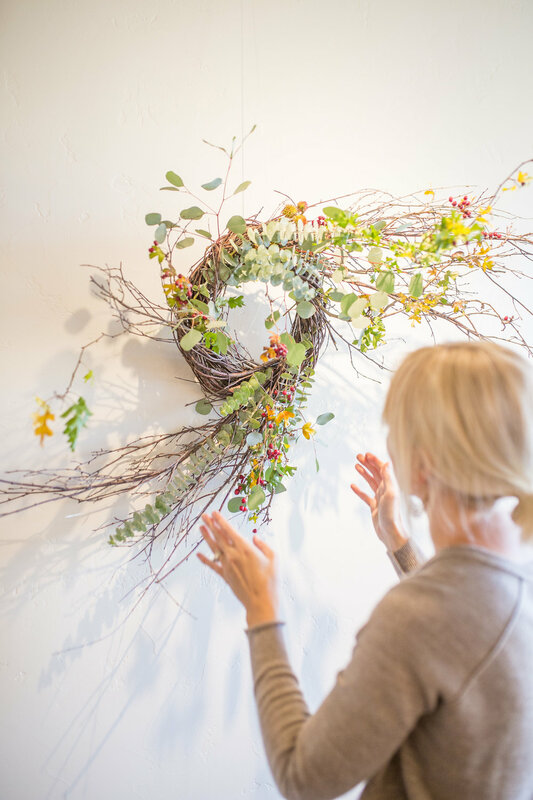 Come for a festive gathering to make winter wreaths for your home guided by Kelly. She will teach you how to make a beautiful wreath using evergreen, dried elements, eucalyptus, bay laurel, and other forage ingredients. Here are some photos from last year’s workshop at Dinnerparty GJ last year. Happy Holidays! Palisade is an amazing little Colorado town. If you haven't been, I highly recommend it. Wineries, fruit stands galore and fresh produce around every corner await you. I highly recommend a stop at Canyon Wind Cellars, the beautiful winery and tasting room where we did this shoot. Sit in the shade and sip their Cabernet and you will not be disappointed! Cat Mayer Studio and I collaborated with Rocky Mountain Bride Magazine and Annelise Bridal for their 2016 wedding gown look book. Look for it on newsstands throughout the Rocky Mountain region now. 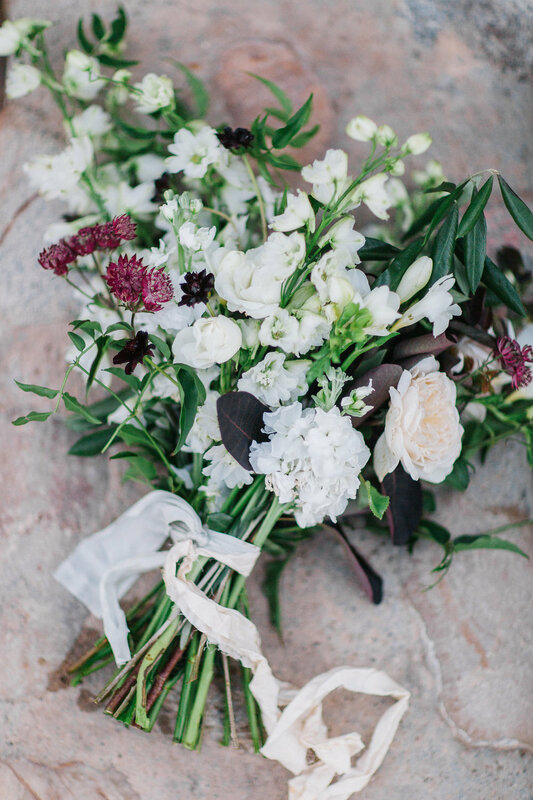 Delicate flower crowns, locally grown flowers and the creamy late summer light make this feature extra special, and I was so happy to take part. For more inspiration in Colorado's wine country, visit here.